Dubai, UAE, September 11, 2018: Invite your loved ones to enjoy the adrenaline-pumping rides and attractions at the award-winning Ferrari World Abu Dhabi, and reap the benefits of the ultimate savings deal. 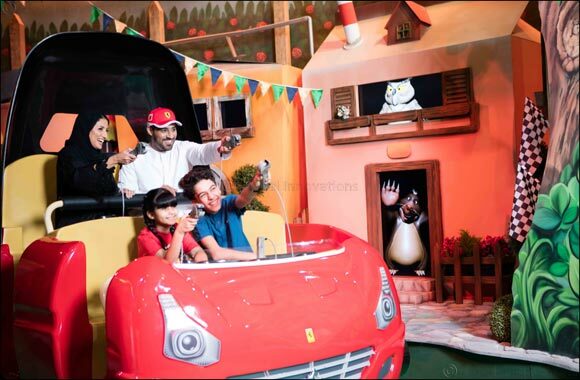 The region's leading theme park's Friends & Family Offer continues to give unrivaled access to the thrilling world of Ferrari inspired and F-1 themed experiences for guests of all ages. The offer is available for UAE residents only. Pass holders will experience the world's fastest rollercoaster, Formula Rossa, and ride the record-breaking Flying Aces with the world's steepest, fastest, and tallest inverted loop, along with the many other one-of-a-kind experiences and attractions. *Kids below the age of three and one nanny per family will benefit from free entry to the park during the offer's validity period.